Posted on Ноябрь 14, 2016 by Татьяна Н.
Для начала проверьте себя и переведите на английский язык предложение. Грибы обычно собирают в лесу. Mushrooms usually picked up in the forest. Mushrooms are usually picked up in the forest. Упражнение 1. Переведите на русский язык. Breakfast was cooked by our mother. The new rule was explained to us at the English lesson. The story was written by Chekhov. This sports centre was visited by lots of people. This sports game is often played at P.E. lessons. The boxer was knocked down. They will be trained by a famous coach. I will be sent to the competition. Упражнение 2. Выберите правильный вариант и переведите на русский язык. The news programme ( is watched / watched ) by millions of people every day. The Mona Liza ( painted / was painted ) by Leonardo da Vinchi. The new cinema ( be built / will be built ) next year. New pop groups ( are much spoken / is much spoken ) about among teenagers. Alexander Pushkin’s first poem ( was written / written ) when he was fourteen. The letters (be sent / will be sent ) by post tomorrow. The translation (was finished / were finished ) two hours ago. London ( visited / is visited ) by hundreds of tourists every year. The dinner ( be / will be ) ready in an hour (через час). The dogs (were taken out/ was taken out) three times yesterday. 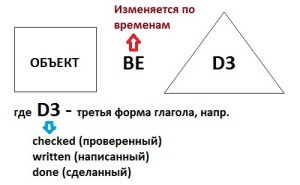 Упражнение 3. Раскройте скобки, употребляя глаголы в Present, Past или Future Simple Passive. Tom always (to ask) at the lessons. I (to ask) at the last lesson. Our country house (to finish) next year. The dog (to find) by my sister yesterday. This text (to translate) at the last lesson. These trees (to plant) every autumn. Many interesting games always (to play) at our P.E. lessons. We (to invite) to a concert last Saturday. Упражнение 4. Раскройте скобки, употребляя глаголы в Present, Past или Future Simple Passive. 1. My question (to answer) yesterday. 2. Hockey (to play) in winter. 3. Mushrooms (to gather) in autumn. 4. Many houses (to burn) during the war. 5. His new book (to finish) next year. 6. Flowers (to sell) in shops and in the streets. 7. St. Petersburg (to found) in 1703.8. Bread (to eat) every day. 9. The letter (to receive) yesterday. 10. Nick (to send) to Moscow next week. 11. I (to give) a very interesting book at the library last Friday. 12. Many houses (to build) in our town every year. Упражнение 5. Раскройте скобки, выбирая требующуюся форму глагола. 1. At the station they will (meet, be met) by a man from the travel agency. 2. She will (meet, be met) them in the hall upstairs. 3. The porter will (bring, be brought) your luggage to your room. 4. Your luggage will (bring, be brought) up in the lift. 5. You may (leave, be left) your hat and coat in the cloakroom downstairs. 6. They can (leave, be left) the key with the clerk downstairs. 7. From the station they will (take, be taken) straight to the hotel. 8. Tomorrow he will (take, be taken) them to the Russian Museum. Упражнение 6. 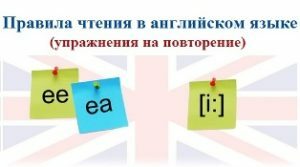 Раскройте скобки, употребляя глаголы в Present Simple, Present Perfect, Present Continuous, Past Simple, Future Simple. Используйте Активный и Пассивный залог. The house ____________(to build) in 2020. The boy _________ (not to hear) the news yet. The Brooks ___________(to become) famous last year. Money _____________(to keep) in the bank. The parcel __________(to send) yesterday. I would like ________________(to know) English very well. Where _________the road _______(to lead) to? Look! The leaves _______________(to fall). All the money ___________(to spend) on clothes last week. The pie has gone! Who _________(to eat) it? В пассивном залоге в английском предложении предлог ставится в конец. ПРИМЕР. За доктором послали. — The doctor was sent for. Упражнение 8. Переделайте предложения из активного залога в пассивный. Переведите на английский язык, употребляя глаголы в Present Simple Active или Present Simple Passive. 1. Я всегда хвалю моих друзей. 2. Меня всегда хвалят дома. 3. Каждую субботу папа показывает дедушке мои оценки. 4. Каждую субботу папе показывают мои оценки. 5. Мы часто вспоминаем вас. 6. Нас часто вспоминают в деревне. 7. Мне дают сок каждое утро. 8. Каждое утро я даю кошке молоко. 9. Он каждый день рассказывает нам что-нибудь интересное. 10. Ему каждый день рассказывают что-нибудь интересное. 1. Я часто посылаю письма друзьям. 2. Меня часто приглашают в кино. 3. Моей сестре часто помогают в школе. 4. Я иногда забываю взять проездную карточку. 5. Он пишет много писем. 6. Собаки любят кости. 7. Собак любят во многих семьях. 8. Когда в вашей семье пьют чай? 9. Почему эти правила всегда забывают? 10. Почему вы всегда забываете эти правила? 12. Где живут ваши друзья? 13. Где покупают хлеб? 14. Когда задают вопросы? Переделайте следующие предложения в Passive Voice. Начните с выделенного слова. ОБРАЗЕЦ. Mother waters the flowers in the evening. — The flowers are watered in the evening (by Mother). 1. Irene’s husband brought her some beautiful shells from the south. 2. The explorers gave the newspaper reporters a long interview. 3. Mr. Wilson will teach you English. 4. Tom gave Nick a book for his birthday. 5. Our mother tells us stories every evening. 6. Lydia will show you a new book of pictures. 7. A boy showed her the way. 8. They will send us a box of fruit. 9. Five or six small children followed them. 10. We will do the translation in the evening. This entry was posted in Passive Voice (пассивный залог).